Tom Bunk was born in 1945 in Split, Croatia. 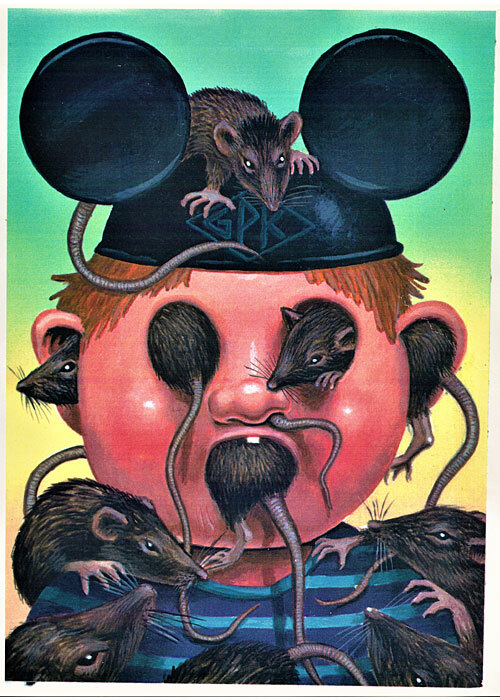 He studied art in Hamburg, Germany where he did oil paintings and drew underground comics. 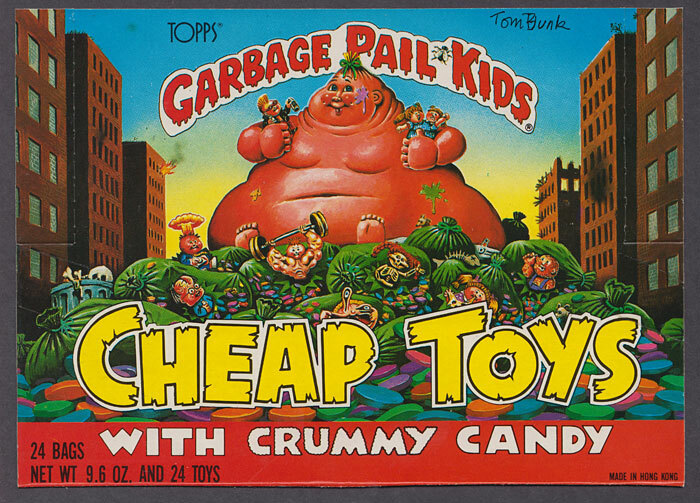 He moved to New York City in 1983. 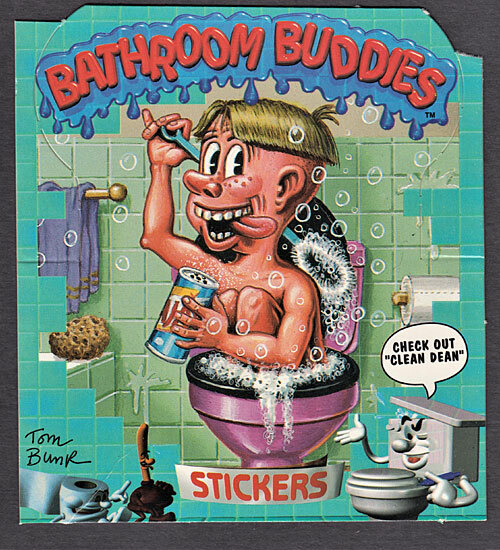 In 1985, he contributed art to his first Topps series, Gross Bears Big Bad Buttons. 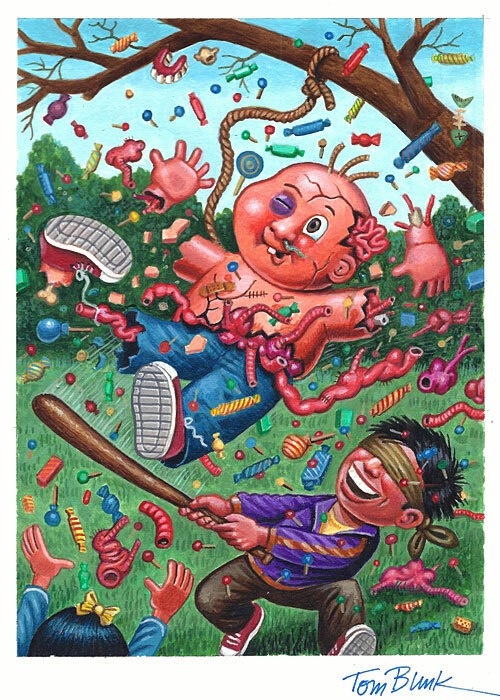 At the same time, Tom worked on card fronts and backs for Topps’ Garbage Pail Kids stickers. 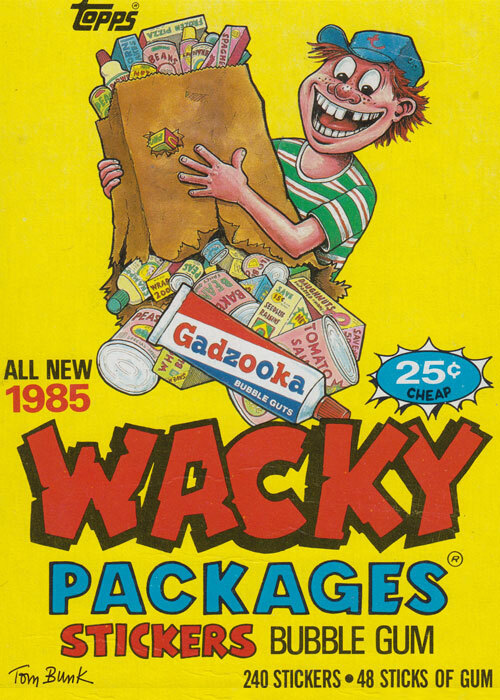 He has worked on many other Topps series including Wacky Packages, Stupid Smiles, Trash Can Trolls, Toxic High School, Gruesome Greeting Cards, Bathroom Buddies, Locomotion (not published), and numerous iron on and box designs. 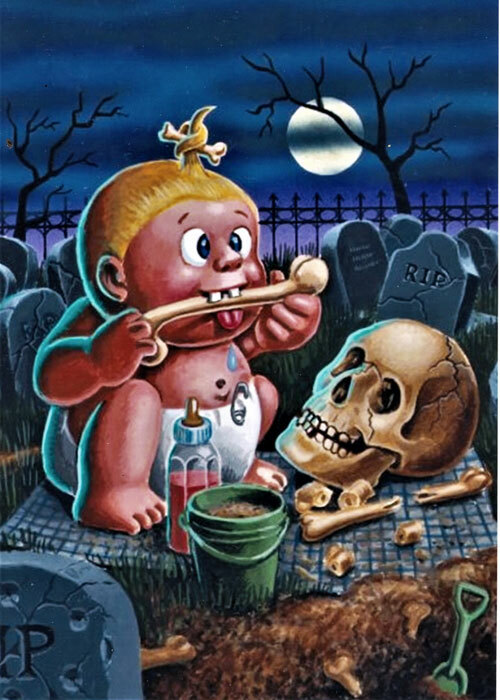 In addition to his work for Topps, he has also worked on Silly CDs with John Pound and Jay Lynch and has done illustrations for science magazines, school books, children books, and more. Since 1990, he has been a contributor to MAD.